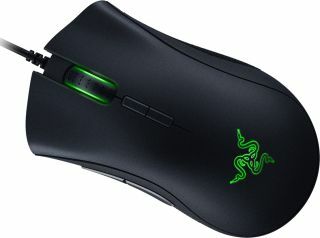 Amazon are at it again; the Razer DeathAdder Elite is currently $39.99, its lowest ever price on the site. For context, that’s a saving of 43% overall. Because it’s our favorite mouse for gaming (we dubbed it the best gaming mouse of last year, in fact) we’d recommend picking one up if you’re looking to upgrade or replace your old hardware. With excellent tracking and comfort, it won’t disappoint. Happily, the Razer DeathAdder Elite is also reduced on Amazon UK. You can pick one up for £41.99, giving a saving of 40% from its original price. As we mentioned in our write-up, the DeathAdder Elite is the best mouse “for the majority of games and gamers... It’s simple where it should be, with two perfectly placed, generously sized thumb buttons, has a great optical mouse sensor that will work on both hard and cloth pads, and has the ultimate body shape for a claw or hybrid claw/palm grip”. Although it saw a similar price drop during Black Friday in 2018, this is probably the best deal we’ll get for a while this year, so if you’re looking to refresh your PC set-up this is a good place to start.